John the Baptist points away from himself to Christ, so that all may know that Christ is the Lamb of God who takes away the sin of the world. a. Not asking for genealogy—they likely know of his father, Zechariah. b. Jewish leaders would be remiss to not examine John the Baptist. 1. Confesses Christ by denying being him. 2. There were many itinerant claimants to Messiahship. 2. Christ himself is ‘The Prophet’ (Acts 3:22; 7:37). 3. A metaphorical call to repair the roads to ease the return of repentant Jews from Babylonian Captivity—the literal near fulfillment. 4. John the Baptist and his baptism of repentance (Luke 3:3) is the spiritual and ultimate far fulfillment. 5. John the Baptist is like a pre-battle bombardment to soften a target before an attack. 2. Like his confession by denial above, John the Baptist magnifies Christ by diminishing his own importance (John 3:30). 3. Christ was there, yet remained unrecognized (cf. John 1:10). A. John 1:32-34 takes place after Jesus’ baptism. 1. John 1:29 is the gospel in a nutshell. a. John the Baptist refers to Christ in terms of the Passover Lamb. b. “The world” in John 1:29 does refer to all people in the world, but not all people without exception (see John 1:12). 1. Negatively, he calls the Jews to his baptism of repentance. 2. Positively, he points to the Lord Jesus Christ to bear witness that he is the Son of God that they might believe. D. If you believe in Christ, he has borne your sins; therefore, repent of your sins and reaffirm your faith in him in Christian worship. The Bergdahls: Muslims? Christians? Traitors? Patriots? For five years, citizens of the United States have waited, wondered and prayed for US Army Sergeant Bowe Bergdahl who was taken into custody by the Taliban on June 30, 2009 after leaving his outpost (OP) in Afghanistan. While there were indications of possible desertion on Bergdahl’s part, and a 2012 Rolling Stone article reporting email correspondence between Bowe and Bob Bergdahl in which Bowe expressed rather distressing sentiments critical of the United States, many of us did not follow the story closely enough to be aware of these things. As far as people like me were concerned, Bowe Bergdahl was a straightforward victim of the war in Afghanistan, who was bravely suffering for his country in the hands of the enemy. As you may or may not be aware, I am a member of a congregation in the Orthodox Presbyterian Church (OPC). One Sunday in 2012, a flyer was distributed to our churches, calling on us to pray for the health, safety and faith of Bowe Bergdahl, and peace of mind for his family. 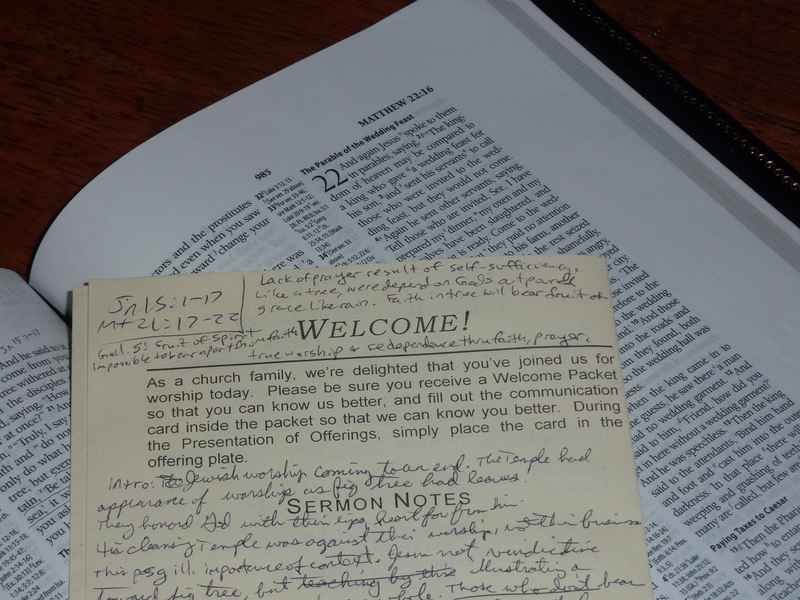 Responding to this call, our congregation, and many like ours, corporately prayed for the Bergdahls. This flyer was the most I would read about Bowe Bergdahl until this past weekend when he was released, and his father, Bob, raised eyebrows by reciting a Muslim prayer from the Koran in a personal statement to Bowe. This, added to the growing awareness of Bowe’s desertion and possibly traitorous intentions while among the Taliban, and Bob’s recently publicized tweet expressing his desire for the closure of Guantanamo Bay, has made the person of Bob Bergdahl the object of much controversy as well. People wonder if he converted to Islam, or if he is an Islamist sympathizer. Even I began to wonder, given our denomination-wide efforts to pray for the Bergdahls, if they were at least still members in good standing of an OPC church, and inquired about this on Facebook, hoping for some input from OPC ministers with which I am in contact. I did learn much in private messages with my FB friends which was reassuring regarding the ongoing Christian faith of the Bergdahl family. It is safe to presume that Bob and Jani Bergdahl have become all too familiar with the Christian grace of perseverance over the last several years, and, despite the release of their son, no end of their need for perseverance seems to be in sight. Prayer on behalf of the Bergdahl family remains a tremendous obligation. Details about Bowe and his leaving his outpost, statements by fellow soldiers who knew or were involved with recovery operations, and the political and national security implications of releasing the Taliban figures from indefinite detention, continue to dominate the daily news. Yesterday, the Washington Post published a profile of Bob Bergdahl and World Magazine has now also run a story featuring the perspective of the Bergdahl’s former pastor and friend, Phil Proctor, who remains in contact with the Bergdahl family. I pastored the Bergdahl family in 2003, prior to going to Uganda. We were very close, and remained so throughout my time in Uganda (I just found out this evening that apparently I’m referenced in some important Rolling Stone article from 2012). Bowe was a young man with all the dangers of home-schooling—a brilliant and inquisitive mind, a crisp thinker, and someone who had never really been exposed to evil in the world. He was wanting to determine whether the Christian faith was his own, or his parents’ and was doing a lot of exploring of ideas—never drugs or alcohol, but trying to be an outdoors/Renaissance type figure. We’ve stayed in close contact with Bob and Jani, especially since Bowe’s capture. Since we moved here to Northern Virginia, Bod and Jani have stayed in our home on a couple of occasions and I’ve spoken on the phone with Bob once a month or so. Bob felt (with some justification) that the US government was not going to engage with diplomatic efforts and so decided to try to free his son himself. He learned Pashtun and developed a lot of contacts in the Middle East. The Qatar connection is one that either originated with Bod or, at the very least, became very personally connected to Bob. Bob has, for quite some time, been saying that the closure of Guantanamo is integrally connected to the release of his son. Whatever one thinks of Bob’s political views, I can attest to both he and Jani’s unwavering commitment to Christ and trust in him. I’ve prayed with both of them regularly. They both have been through a torture mill that I cannot begin to comprehend—5 years of a living death. It has affected their health, both physically and mentally, as Bob has been completely obsessed with tracking down any possible communication avenue to get his son home. There are a number of things I would disagree with Bob on in terms of political statements, but at the end of the day, I think this whole mess is a WHOLE lot more complicated than a 30 second sound bite (sic) can explore—the very existence of Gitmo attests to the complicated nature from the very beginning, and it’s only gotten worse over the years. 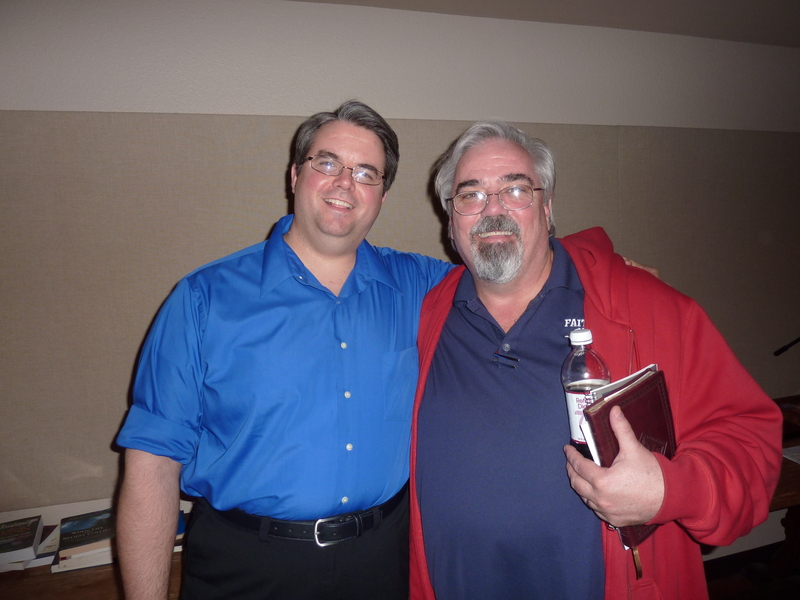 To the foundational issue: Bob and Jani both have regularly confessed their dependence upon Christ and rest in him—the most recent being Bob’s conversation with me about a month ago. They are broken peop;le who need prayer, love, and compassion. I personally intend to run as hard as I can in the opposite direction of judging his words in the moment of his crucible—I would HATE to have that standard applied to my moments of stress, which have never reached anything approaching his intensity and duration! Feel free to forward this and use it as widely as you like. FYI, My most recent conversation with Bob and Jani was 30 minutes ago. Still Christians. A. Faith justifies a sinner in the sight of God, not because of those other graces which do always accompany it, or of good works that are the fruits of it, nor as if the grace of faith, or any act thereof, were imputed to him for his justification (Romans 4:5; 10:10); but only as it is an instrument by which he receiveth and applieth Christ and his righteousness. Believing is not a good work. It earns nothing. If there were such a thing as a righteous person other than Jesus Christ, there would be no need to impute his righteousness to him. For this hypothetical person who earns righteousness by his own good works, having Christ’s righteousness imputed or credited to him would be superfluous, redundant, and unnecessary. Christ did not come to call those who think their righteousness is good enough. God did not send his Son to die for those who never come to admit that they deserve to die because of their sin. In Romans 4:5, Paul describes God as “him who justifies the ungodly.” The ungodly one who despairs of his inability to earn righteousness by his good works is the kind of person whom God justifies, or declares righteous in his sight. In this same passage, Paul explains that “his [the ungodly person’s] faith is counted as righteousness.” This is the biblical doctrine of imputation, and Paul elaborates on it in the rest of his sentence which concludes in verses 6 -8: “… just as David also speaks of the blessing of the one to whom God counts [imputes] righteousness apart from works: ‘Blessed are those whose lawless deeds are forgiven, and whose sins are covered; blessed is the man against whom the Lord will not count [impute, KJV] his sin.’” As you see, the Bible teaches that while a man’s faith may in one sense be “imputed,” or “counted” as righteousness, in a greater sense, what is really going on is that Christ’s righteousness is being imputed to the ungodly believer–the righteousness of Christ is counted as the righteousness of the ungodly believer. It is a careless misreading to interpret the Bible as teaching that God imputes faith to the ungodly; rather, God imputes the righteousness of Christ to him. What, then, is the source of this faith by which we are justified by the imputed righteousness of Christ? “For with the heart one believes and is justified, and with the mouth one confesses and is saved” (Romans 10:10). In the song, “Rock of Ages,” Christians sing, “Nothing in my hand I bring/Simply to the cross I cling.” It is not the work of our hands by which we are justified, but the gracious gift of faith which emerges from a regenerate, spiritually living heart which has been newly freed from sin and empowered to rest on the finished work of his righteous Savior who has been crucified and risen for him. We may be justified by a righteousness that is not our own, but that righteousness is received by a faith that is very much our own, graciously enabled by the power of the Holy Spirit. 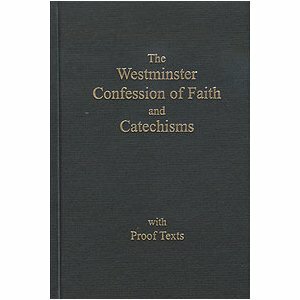 Answer #73 of the Westminster Larger Catechism, then, further denies that the faith by which he is justified was not imputed to him—it was not the faith of another, but his own faith which arises by God’s grace from his own regenerate heart. His faith is the fruit grown on the good tree of his own regenerate heart. Ask him a politically-charged question about biblical sexual morality. “You shall not lie with a male as with a woman; it is an abomination” (Leviticus 18:22). “…and the men likewise gave up natural relations with women and were consumed with passion for one another, men committing shameless acts with men and receiving in themselves the due penalty for their error”(Romans 1:27). “…just as Sodom and Gomorrah and the surrounding cities, which likewise indulged in sexual immorality and pursued unnatural desire, serve as an example by undergoing a punishment of eternal fire” (Jude 1:7; cf. Gen. 19). “Or do you not know that the unrighteous will not inherit the kingdom of God? Do not be deceived: neither the sexually immoral, nor idolaters, nor adulterers, nor men who practice homosexuality, nor thieves, nor the greedy, nor drunkards, nor revilers, nor swindlers will inherit the kingdom of God” (1 Corinthians 6:9-10). Short of this, the regrettable fact remains that the homosexual, as well as the sexually immoral, the idolater, the adulterer, the thief, the greedy, the drunkard, the reviler and the swindler, among other kinds of sinner, will not inherit the kingdom of God. Theology, Ethics and . . . What? If grace is the essence of theology, and gratitude is the essence of ethics, then guilt is the essence of what? Please submit your answers in the comments thread. May the grace of God in Christ crucified and risen to atone for your guilt inspire much gratitude in you this Thanksgiving! The following long, tedious post is a small way of demonstrating just how comprehensively God’s law condemns the sin of man. It highlights the depth and breadth of our fallen nature that is bent on violating God’s law in every conceivable manner, and shows just how much we all, believer and unbeliever alike, deserve God’s eternal anger and torment. The following extensive description of what it means to keep God’s law also shows us just how thoroughly successful the Lord Jesus Christ was in keeping God’s law in every conceivable manner for his elect—those who come to believe. Finally, it shows the many-faceted way in which we who believe and have been forgiven for such egregious, heinous sin, can express our gratitude for the active obedience of Christ in perfectly keeping God’s law for us, and for his passive obedience in suffering the penalty of divine wrath which such deep, dark, extensive sin deserves. This kind of sin has become such a habit for me, in particular, that it didn’t dawn on me that this was what we were doing, not even when one of the other members who were in attendance last Sunday evening during the catechism discussion walked in, and I felt compelled to jokingly explain that we were having a little fun at our former church’s expense. It didn’t dawn on me until several hours later. Hence the occasion for the following post. 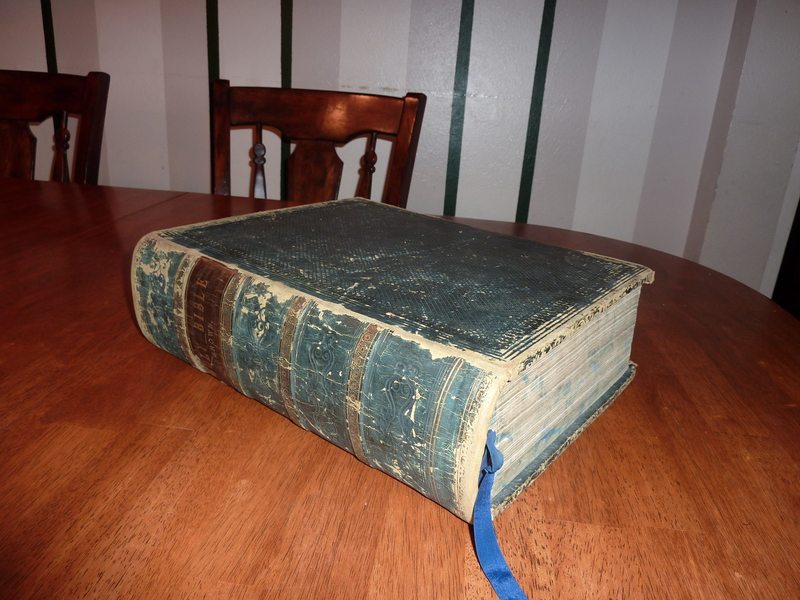 While it may appear so, this is not an exercise in self-flagellation, but, as I explained above, an amplification of the Heidelberg Catechism’s explanation of what the Bible teaches about what all God requires of us in the sixth commandment. May it open your eyes to the depth of your sin, the extent of Christ’s righteousness and grace, and may it guide you in expressing your loving gratitude for his free gift of righteousness which can only be received by faith in Christ. For this reason, God has granted the right to human government alone to put murderers to death, as the just punishment of murder, and as a deterrent to murder by others. No: for when God forbids anger, he commands us to to do good to our neighbor, even to our enemy. 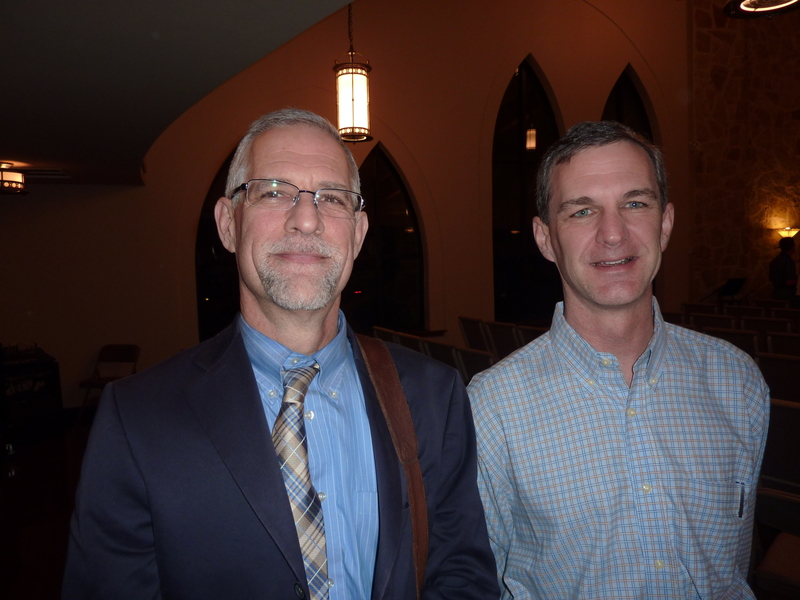 Dig my latest comment at Darryl G. Hart’s Old Life Theological Society. His post is titled, “Young, Restless and Lutheran?” He questions whether the broad approach of the Young, Restless and Reformed movement isn’t so broad that it might be more accurate to call it “Young, Restless and Lutheran,” given that, in Hart’s view, it’s less about Reformed theology in general or the five points of Calvinism in particular (no pun intended), and more about having been inspired by a bigger vision of God at the hands of John Piper channeling Jonathan Edwards, and generally begins reminding us all how much less Reformed they are than he and his Truly Reformed OPC brethren are (among whom I eagerly anticipate numbering me and mine). This is my summary, anyway, be it accurate or not. I found the post and some of the resultant comments engaging enough that I just had to share my own experience at moving from Fundamentalism, through Evangelicalism and into Reformed Confessionalism. Although I write with tongue-in-cheek, the experiences are all very real (and they’re just the tip of the iceberg). Fortunately, I bypassed the whole Piper YRR movement (Piper’s creative and independent streak is waaay too Baptist for my taste) and swallowed the whole TR thing hook, line and sinker…Or so I thought. The further one goes, the more one discovers which exaggerates the differences between what it means to be Evangelical (in modern Western Christianity, that is) and what it means to be Reformed. …then you deal with stuff like exclusive “Acapulco” psalmody, and, for me living in a region where there is no glut of Reformed churches, I take the lazy man’s approach and say this isn’t an issue I have the luxury of standing for, even if I were persuaded of it. And some of their arguments I do find attractively compelling. If it weren’t for those of the advocates of instrumental hymnody. Now that I’m preparing to join an OPC church, and begin reading all this vast literature about this “splinter group” of a denomination, I feel I’ve come full circle in some ways back to a Presbyterian version of my separatistic IFB background (even the local church planting missions emphasis is reminiscent of the IFB, without the Faith Promise giving campaigns), if you consider some of you more outspoken OPC guys’ position and attitude about TGC and T4G. Yes, growing up among separatistic fundamentalists, yet consuming my fair share of big tent Evangelical media, it is quite a process in coming to a point where you can confidently call yourself “Reformed” without crossing your fingers behind your back. The following was preached on March 6, 2011 by Rev. 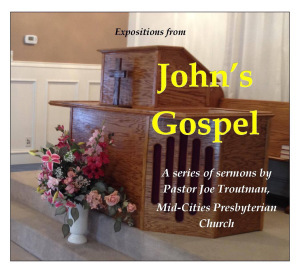 Joe Troutman, pastor of Mid Cities Presbyterian Church, in Bedford, Texas. This just happened, in the providence of God, to be the weekend after the controversy about which I’ve been posting for the past couple of weeks. The heresy of some becomes an opportunity for the orthodox to proclaim the truths of the Bible with all the more clarity. I hope you find the following words at the same time edifying and challenging. The third parable, which is found in verses 47-50, is the longest of the four. There is some similarity here to the first two, but overall it is different. Some commentators group it with the parable of the wheat and the tares because it describes a harvest–a harvest of the sea, as opposed to a harvest of the field. In this parable, Jesus says again, “The Kingdom of heaven is like a net that was thrown into the sea, and gathered fish of every kind. Like the second parable, there is a great search taking place. But instead of a search for a precious pearl, it is a search for fish. This search is being done, it says, by angels. The first two parables describe men who find the Kingdom, but this parable is about the Kingdom finding men. We may think we found God. We may think that in some way we stumbled across him; that in our search in the marketplace, we have found the pearl of great price. But in reality, the parable shows, Jesus is continuing to tell us that it is God who found us. It is God, the Lord Jesus Christ himself—who sought us out. Jesus said in Luke 19:10, “The Son of Man came to seek and to save the lost.” The value of God’s Kingdom, and the place of God’s elect in it, are so great that the purchase price was nothing less than Jesus Christ himself. It is, in fact, more than you and I could pay. More than we could ever pay. It is a debt that is too great for us. Because God made a covenant with himself to save a people for himself, he was willing to go to any length to procure his people’s salvation. He was willing to give his Son as a ransom for lost sinners like you and me. This is what the Lord was willing to do for all who truly believe. Then he explains this part of the parable in verses 49-50. He says, “So it will be at the close of the age. The angels will come out and separate the evil from the righteous, and throw them into the fiery furnace. In that place there will be weeping and gnashing of teeth.” What is Jesus talking about? He’s talking about the final judgment. He’s talking about when he returns; when he returns as the Savior of his people and the Judge of those who have rejected him. 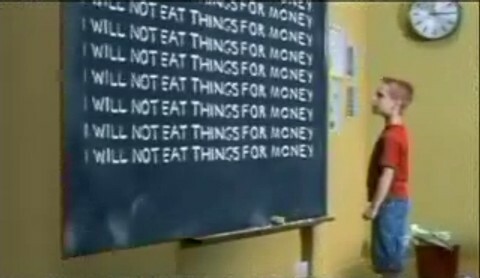 What is he saying will happen? He is saying that some will be kept, and some will be thrown away. There will be a final sorting that takes place: some will be welcomed into glory by their Savior, and others will be cast into hell by their Judge. This is what Jesus is teaching. Yet if we affirm this, we are in danger, we need to know, as being regarded as radical fundamentalists by most of the people in our society–even by fellow evangelicals. Yet there is an inconvenient truth for those who would deny the existence of hell and eternal punishment in it by the Lord. And this is it: Scripture says it exists! Scripture repeatedly talks about the existence of hell. The weeping and the gnashing of teeth, the casting of those who refuse to believe into hell, Jesus himself–regarded by many on the more liberal side of the church as just a friendly and nice guy, a lovable teddy-bear type of Savior–Jesus himself talks about hell. It is inescapable. Now we are not to revel in it; it should sadden us that some are lost. And yet, in God’s casting unbelievers into hell, he is glorified. This may be difficult for us, but just because it is difficult does not give us the right to throw this doctrine away. In so doing, we are throwing portions of Scripture away. In Matthew 10:28, Jesus warned his followers not to fear someone who could kill the body but not the soul; he says instead to fear him who can destroy both the body and the soul in hell. In other words, fear God. The book of Revelation also has something to say about that. It is the place where Satan and his angels and everyone whose name is not written in the Lamb’s Book of Life. It is described in Revelation 21:8 as the lake that burns with fire and sulfur, which is the Second Death. There are many today who are challenging Jesus’ teaching in our passage, and many others that say he will save some and send others to hell, but they are denying God’s Word. If they’re denying that he sends some to hell, they are denying his Word, and they have nothing left to stand on when they make their own pronouncements. In the photo above, Rev. 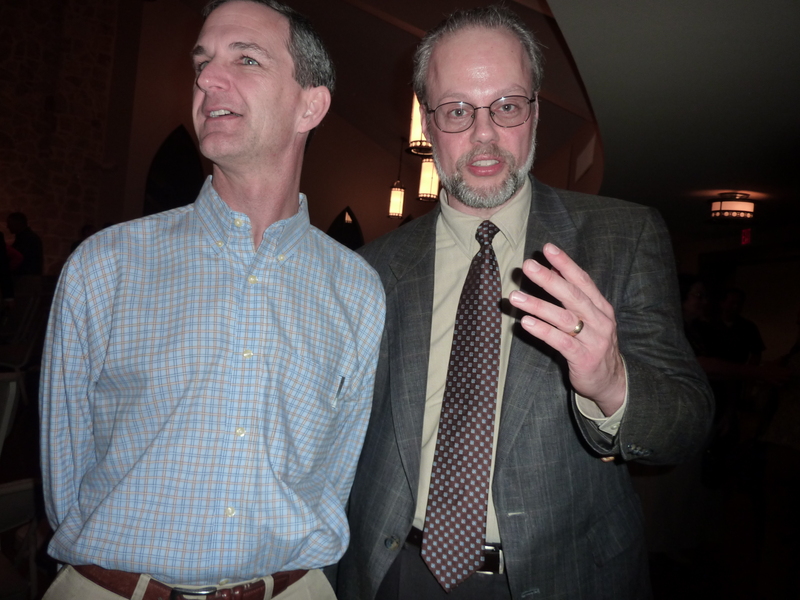 Troutman is posing with Dr. K. Scott Oliphint, professor of Apologetics and Systematic Theology at Westminster Theological Seminary in Philadelphia, Pennsylvania. He came to town as a speaker at the recent Full Confidence Conference, about which I posted a few weeks ago. In the Q & A Session at the end of the conference, Dr. Oliphint concludes the entire event with some very compelling words on the nature of hell as eternal, conscious torment. I highly recommend you give it a listen as well. The recent unpleasantness regarding Rob Bell’s rejection of orthodox thinking and teaching is sparking a concerted effort among my fellow Reformed bloggers and other online ministries to raise awareness that evangelicalism has been in decline for many years, and it is only accelerating. Bible believing Christians need to get back to the basics of what it means to believe the Bible. In this chapter, Rev. Brown begins by demonstrating that there are some things which natural reason is unable to accomplish on its own. Such things are impossible to it without the aid of divine revelation. This fact is often something that even the most devout believer of the Bible forgets, and in such cases, the faith and practice of the church are undermined. Such is undoubtedly the case in the present controversy that has been sparked by natural reason in the form of Rob Bell’s postmodern liberalism. No man, who is an unbiased free-thinker, can soberly hearken to the dictates of his natural reason, and seriously ponder the absurd and contradictory principles and practices which have been or are prevalent among mankind, without perceiving that the light, or even the law of nature, is altogether insufficient to direct us to true holiness, or lasting happiness, in our present lapsed condition. It can give us no plain, distinct, convincing, pleasant, powerful, and lasting ideas of God. It cannot direct us in the right manner of worshipping him with due love, resignation, humility, self-denial, zeal, wisdom, sincerity, and fervent desire of the eternal enjoyment of him. It cannot show us our true happiness, which is suited to our highest powers, which may always be enjoyed without shame, suspicion, fear, or dread of loss or danger, and which will in every situation support and comfort us. It can discover no true system of morality, perfect in its rules, means, and motives. It can discover no effectual incitements to virtue, drawn from the excellency and presence of God the law-giver, from the authority of his law, or from his discovering a proper regard to it in rewarding virtue and punishing vice. It cannot manifest in a striking manner the certainty, excellence, pleasure, and allurement of virtue in our heart, which will ripen us to that proper pitch of religion and virtue in our heart, which will ripen us for the full and immediate enjoyment of God. It cannot show us one perfect example of virtue, either among learned or unlearned heathens; nor give us any promise of God’s assisting us in the study of it. and, in fine, it cannot effectually sanctify our heart, nor produce that bent of will and affection, that inward peace with God, that sufficiency of light and strength from God, or that solid hope of eternal happiness, which is necessary to produce true holiness and virtue. It cannot support us under heavy and bitter afflictions, by showing us God’s fatherly care of us, his promises to us, or his making all things to work together for our good; nor can it comfort us against death by certain views of his love to us, and providing everlasting life and happiness for us. 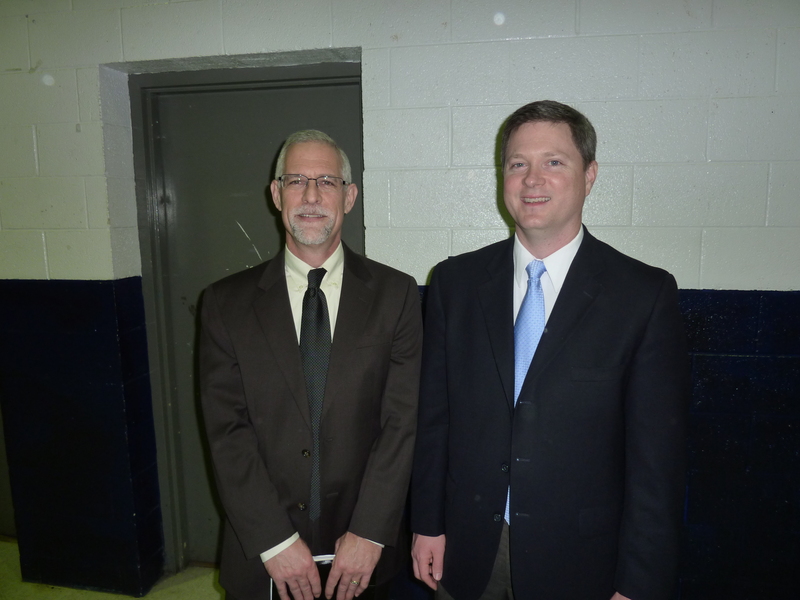 Dr. K. Scott Oliphint (left), with brother Pastor Kyle (right). 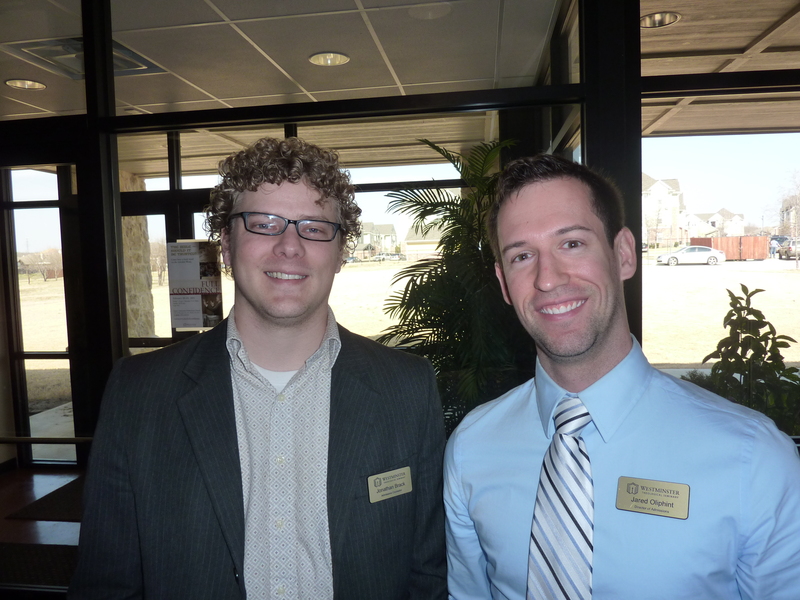 Kyle (right) with Conference organizer, Dr. David Garner. Next is a look at the “emerging” Westminster generation–Jonathan Brack with Dean of Admissions and son of Dr. K. Scott Oliphint, Jared Oliphint. I hope they enjoyed their little family reunion. And finally, I took the opportunity to get a snapshot with one of my heroes of the faith, a man who successfully lead his family out of fundamentalism and into the Reformed faith intact, Dr. Thomas R. Browning (Hey, Bob Hayton! Here’s a real, live “Fundamentalist Reformer” for you!). He is the Assistant Pastor of Grace Community Presbyterian Church, and can be found teaching the adult Bible study in the sanctuary most Sunday mornings. In many ways, I am indirectly a product of his influence, in that he taught the guys who, after years of on-again, off-again considering of the doctrines of grace, lovingly latched onto my ankle (like the Calvinist bulldogs they are) and didn’t let up until I said “Uncle!” Every time I think of this guy, I recall the touching tribute once spoken by his son, Gage (a former co-worker): “My dad is my favorite preacher.” Learn more about Dr. Browning and his ministry of preaching and teaching here and here.